People have been discussing whether the recent violence during the NRM primaries is a signal for what’s to come. They are. On July 26, the ruling National Resistance Movement (NRM) political party held its district committee elections and violence was reported in many parts of the country. In the central district of Sembabule, in the incident that attracted the most news coverage, there was a violent exchange involving firearms, between the supporters of Foreign Minister Sam Kuteesa and the Member of Parliament of Lwemiyaga County, Theodore Ssekikubo. At first, this violence and the many complaints of rigging were treated as an accidental development, confusion resulting from misunderstood messages and weakness in the logistical and administrative machinery of the NRM. It was something that would not happen again. Then on August 30 came the primary elections for prospective members of parliament. This time the reports of rigging, the violence and the acrimonious atmosphere were so blatant that even the government-owned New Vision newspaper could not help but report the facts, bare for all to see: There had been rigging and manipulation on a scale not seen in a long time. The results from at least 40 districts around the country were cancelled because of alleged irregularities and the NRM’s Vice Chairman, Moses Kigongo, on a tour of Eastern Uganda, warned that stern disciplinary action would be taken against party officials engaged in the rigging. Several defeated candidates threatened to quit the party if their complaints were not adequately addressed by the party’s leaders. The fallout from the NRM primaries has made such headline news that it has helped draw attention away from what would ordinarily have been the week’s biggest news story — the collapse of the opposition Inter-Party Cooperation (IPC) arrangement. The main reason, the most publicly stated reason, for the decision by Yoweri Museveni to wage a guerrilla war in 1981 against the UPC government of President Milton Obote was, as Museveni said at the time, because the 1980 general election had been rigged. This sentiment was shared by many opposition groups and followers in the early 1980s and was the basis of some of them agreeing to merge their political groups with Museveni’s NRM in 1982 and later in 1986. It is, then, a major irony in Ugandan political history that the party whose basis for going to war and capturing state power to be the one whose internal elections have been marred by this level of violence and rigging 30 years later. Ever since the 1996 general election, there has been an outcry over rigging in that and every subsequent general election. Even in 1996, there was widespread complaints of rigging amongst the ruling NRM. Somehow, though, the anger and complaints died down. Because in Uganda and much of Africa, the ruling party is so intertwined with the state, the chaos surrounding the NRM district and primary elections has raised questions about the forthcoming general election. The Ugandan opposition has not actively courted senior NRM party officials who have expressed dismay of the election process and have threatened to leave the party, but could be tempted to, taking advantage of the anger over the rigged elections. With several NRM officials enjoying established political networks at the district level, there would be much to gain for them by crossing over to opposition parties that might lack grassroots strength in certain areas of the country. If there is anything the confusion and rigging surrounding the NRM primaries reveals, it is that the 2011 election will be more heatedly contested than any in the last 25 years in Uganda. And more importantly, the question remains why elective office in Uganda has become such a do-or-die affair. 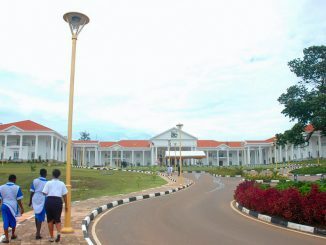 In Uganda today, there are very few jobs left that can pay anything close to what members of parliament earn and with the only qualification being popularity in one’s home area. With the high cost of living, political office has become the last option of the desperate. However, whatever the conditions prevailed before these chaotic elections, something has changed after them. Since much of the population is convinced of the corruption within the NRM and has for years cried out at the scale of rigging in national elections, the chaos of the NRM primaries will have no effect, since their minds are already made up and this rigging will come as no surprise to them. It is what it does to the party activists and ordinary members that will be crucial. These chaotic elections, while not national polls, will dent the image of the party in the eyes of the public that was not already disillusioned by the rampant corruption in the country. 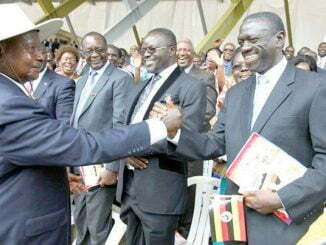 The Ugandan media was already rife with reports of conflicts and rivalry within the NRM. To this will be added the kind of misunderstanding that will lead many aggrieved party officials to review their image of the party or even their position within it. President Museveni by the end of the week had not commented on the outcome of his party’s primaries but did criticize the violence in Sembabule. He has a major task ahead of him and must start to work with the winners of their respective primaries, in his position as party chairman. On top of that, he must direct the NRM leadership on how to deal with the members who are accused of vote rigging. On the other hand, the defeated candidates remain NRM members and he must commiserate with them and find them some consolation trophies. With a cabinet already over-sized and with the opportunities for patronage dwindling, this will be a challenge. The immediate area in which the president has room is in appointing some of these disgruntled supporters a role in his re-election campaign task force. 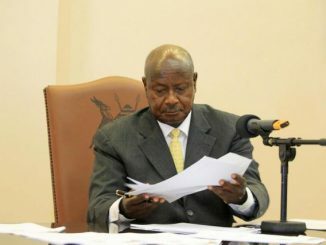 A political and intelligence operative, Charles Rwomushana, told the Hot Seat talk show on the KFM radio station in Kampala on September 2 that the elections had been marred by chaos and irregularities because right from the start, the senior NRM officials handling the printing of ballot papers and distributing them had a corrupt interest in the process. Rwomushana even alluded to the possibility that there are some officials or an official high in the NRM who masterminded the chaos, in order to help discredit Museveni from within his own system. All these circumstances viewed together appears to be forming into a greater trend that will gather force over the coming months: independents in the 2011 Parliament. The NRM party will never be the same after these elections. In 2006, the party had tried to clamp down on the tendency by some among its ranks of contesting parliamentary elections as independent candidates, after they lost the primary and complained of either being rigged out of the process. It will difficult in 2011 for the senior party officials to explain why the disaffected of the party should not stand as independents. When or if the opposition protests next year’s elections as having been rigged, there will be many in the NRM who will relate to and sympathize with that sentiment. The rigging within the NRM has given valuable mileage to the opposition even before they have set foot on the campaign trail. The theme of rigged elections and the demand for free and fair elections alone could be a major campaign theme for the opposition, if the message is well crafted. Policy makers in the western capitals of London and Washington who had already expressed concern at the pace of electoral reform in Uganda in the run-up to 2011 will view the marred NRM elections with alarm and as a confirmation of their assessment that Uganda must be watched carefully, lest it sink into the blood-letting and carnage that followed Kenya’s 2007 general election. Looked at from the perspective of history, after nearly 25 years in power, it is starting to be impossible for the NRM to ward off the perception that it has gone well past its prime and that any further years in power will bring no further advantages to Uganda. For all its numerous failings, the Museveni government since 1986 has been viewed in the West as the only force that could stabilize Uganda and extend its stabilizing influence across the strife-torn Great Lakes region of Central Africa. With this level of animosity within the party and its inability, in spite of all the state resources at its disposal, to organize elections as basic as at the district and primary level, it raises serious concerns of what may lie ahead for the country. 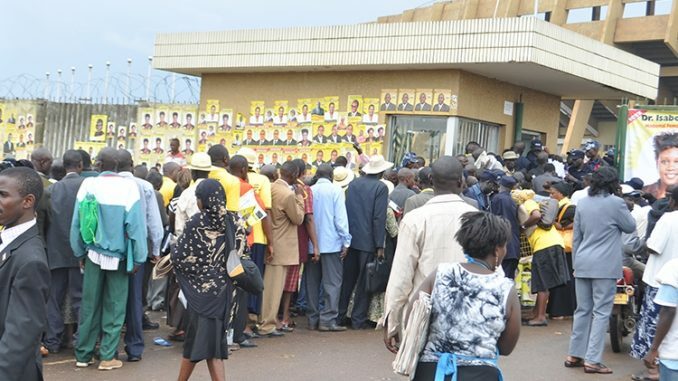 In the next few weeks, the confusion surrounding the NRM election will have gone off the news pages. The full impact of what the country witnessed in this party will start to be felt in 2011, with or without victory in the national election.